Are you looking to make a difference in the world? To helping others discover health, meaning and purpose? Founded by Dr. Alberto Villoldo, the Light Body School training combines ancient shamanic wisdom teachings with cutting-edge practices in nutrition, biology and neuroscience to give you the tools you’ll need to transform yourself and launch a successful career doing what you love. You can train from anywhere in the world through our online program, and launch your practice as an Energy Medicine Practitioner and Health Coach in as little as six months. Or, you can receive your training through our residential program at one of our campuses in the United States, Germany and Chile. Our main campus, Los Lobos Sanctuary, is nestled in the coastal mountain range adjoining a World Biosphere Preserve in Chile. Work with the energetic matrix that informs the body, carries your genetic inheritance and determines your destiny. Discover how to switch on the genes that create health and switch off those that create disease. Learn to prime the brain to experience the higher states of consciousness. Experience holistic healing, profound personal transformation, and connect to a lineage of luminous Shamans and Earthkeepers. 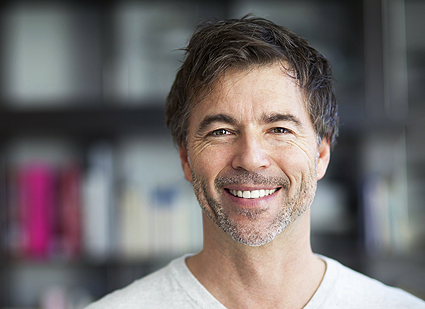 Acquire the skills and tools to help others make the energetic, emotional, nutritional, and lifestyle changes needed to create and maintain exceptional health. Join thousands of graduates worldwide who are ushering in a new paradigm of physical, emotional, and spiritual health. Discover Shamanic Energy Medicine, a system founded on the experience of Oneness that restores your inner harmony and can make your healthspan equal your lifespan. "A paradigm shattering synthesis of wisdom traditions and modern science..."
"Dr. Villoldo artfully weds traditional wisdom with leading edge nutritional science delivering a program that pushes the reset button, paving the way for health..."
"...The big answer to our health-care problems in the 21st Century..."
"This book applies leading-edge science to our quest for enlightenment and gives us practical tools including specific dietary and lifestyle recommendations to improve our well-being..."
"The shaman and physician for millennia were the same person until the 19th century when they were split apart in the name of science. Now through the lens of 21st Century science, Villoldo and Perlmutter bring them back together." Switch on your cellular detox systems and health and longevity genes to repair your brain and body in as little as a week. Journey with Dr. Alberto Villoldo and Marcela Lobos to Peru and Chile, and experience ancient shamanic ceremonies. Enrich your knowledge of Shamanic Energy Medicine and receive Masters-level training to support your calling as a holistic healer. 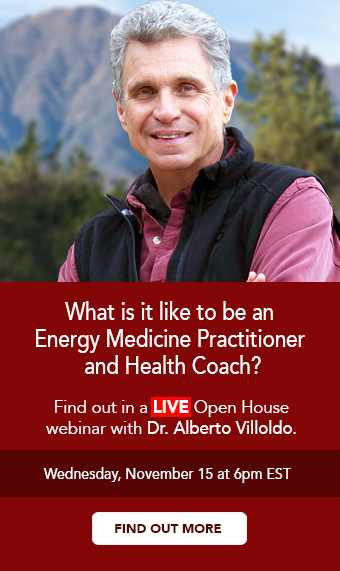 Join us in upcoming workshops, public talks, and events with Dr. Alberto Villoldo and experience the gifts of energy medicine. Become an agent of transformation and bring health and wellbeing to the world! BOOKS BY ALBERTO VILLOLDO, Ph.D.
others reach their finest destiny.